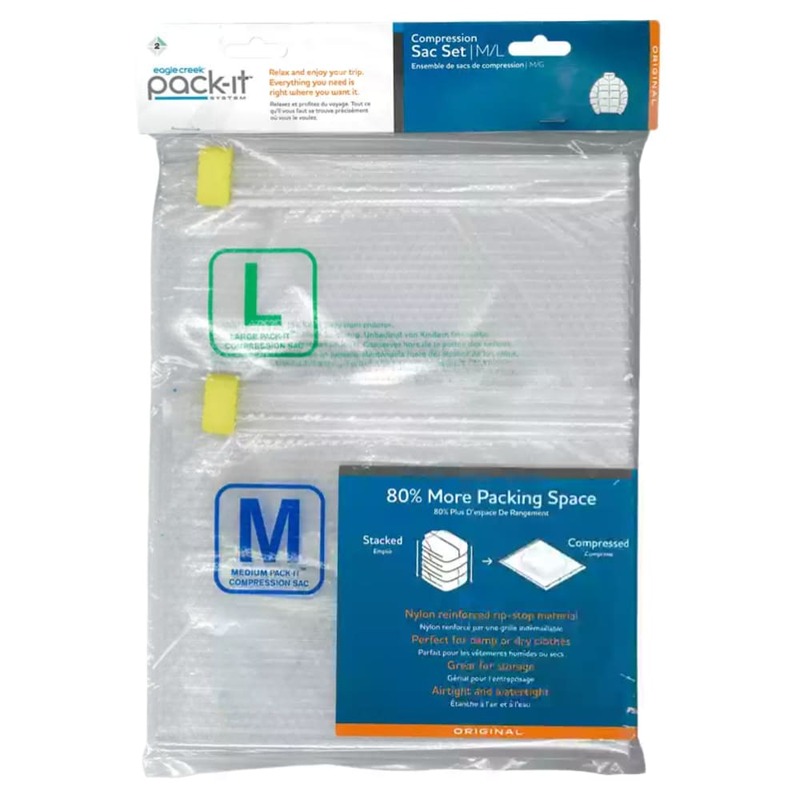 The one-way valve of these plastic storage pouches allows you to remove excess air from bulky garments and save up to 80% of the volume when you pack. Pouch #1 measures 15.5 x 24.5 in. Pouch #2 measures 17.5 x 28.5 in.